Anna Esguerra is the person behind AnnaEsguerra.com: An online space for her works done over the years. A graduate of De La Salle-College of St. Benilde, under the Multimedia Arts course. 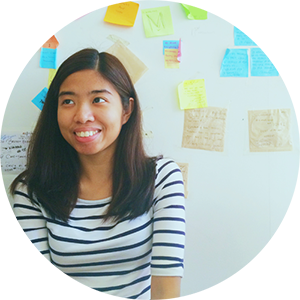 Her specialty lies in web and graphic design, with 7 years (and counting!) worth of experience in web design. Some of her notable works include the shop for international customers of Dream a Little More clothing line, and the website of Smashmouth guitarist Sean Hurwitz, as well as her short-term collaborations with Beauty Bar for their website and Facebook page. Elsewhere, you’re likely to find her at So Stellar, her blog of things she loves and likes, in TL;DR writing and image-heavy content (mostly of her photography)… all of these, one post at a time. Anna is also an active contributor in the following groups and communities: When in Manila, Incubus Street Team Philippines, OED.